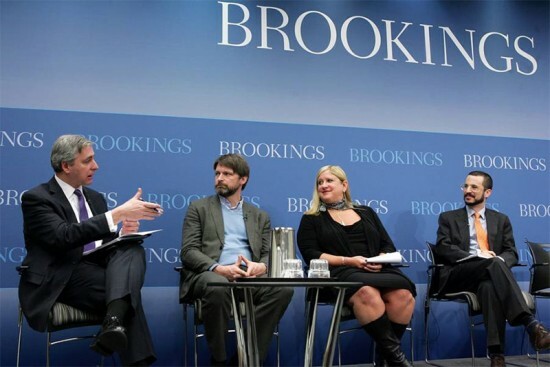 Covering ground from Sao Paulo to Copenhagen, a set of multi-disciplinary discussions were convened in Washington, DC yesterday by the Brookings Institution and the Sam Fox School at Washington University in St. Louis, to explore the synergies between urban design, policy, and finance required to realize innovation in the way we construct our environment. The discussions focused on global case studies relative to urban mobility, technology, and environmental adaptation, against the backdrop of global urbanization and climate change. Watch videos of the proceedings of “The Innovative Metropolis” on the Brookings Institution website.